The road to success isn’t always a straight line. The difference between what can be imagined and what can be achieved. Know what really matters for the client. Lossy Advocaten specialises in corporate law, family property law, inheritance law, insolvency law, contract law, and liability law. We advise, support and represent business managers, shareholders and companies, with a particular focus on family businesses. How do you counter asset-stripping? Does the manager of a parent company have the right to inspect all documents of the subsidiaries? Can a Belgian judge appoint a temporary administrator to a foreign corporation? Have a look at a few of the cases that illustrate our expertise. Working with Lossy Advocaten means impersonal responses are replaced with a personal approach in confidence. 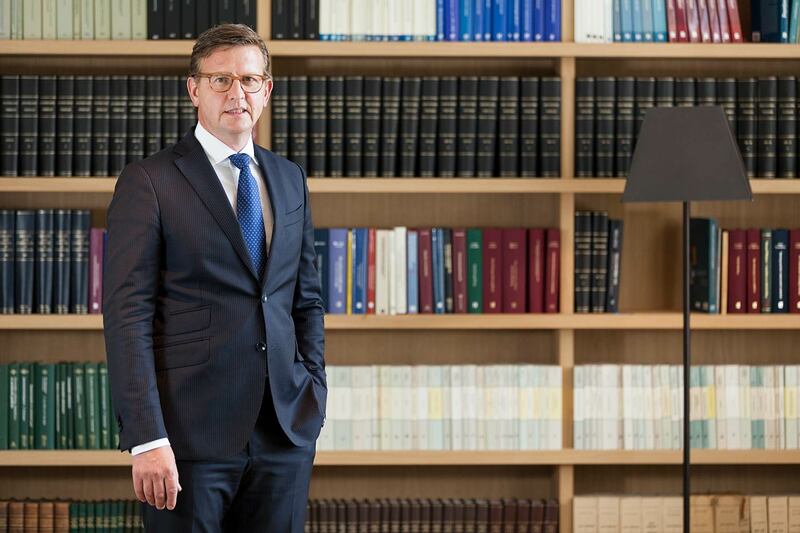 With more than 30 years’ experience, excellent analytical skills and intuition, Stefan Lossy is able to predict how your case will progress and how best to react to the likely moves of the opponent. The expertise of Lossy Advocaten includes, among others, advice, support, active assistance and mediation in the following areas of the law: Corporate law | Contract law | Insolvency law | Liability law | Commercial and economic law | Family and family property law | Inheritance and estate law | Corporate criminal law. client support during conflicts within the board of directors and/or general assemblies; exercising the right to query. negotiation and drafting of consultancy and management agreements. We make a distinction between legal procedures/support – advice/negotiations for purposes of clarity. In practice, the three components overlap. A legal procedure never excludes negotiations, and sometimes it is part of a negotiation strategy. settlement – division of estate. Solid contracts are necessary to prevent disputes. We use our extensive experience with dispute resolution when assisting clients during negotiations, consultancy and the drafting of contracts. Lossy Advocaten also has extensive practical experience when it comes to market practices, (commercial) contracts and civil liability – both contractual and extra-contractual. How do you counter asset-stripping? Asset-stripping means a company’s profitable components are transferred to a third party and the unprofitable ones remain part of the ailing company. If you have a claim on such a “stripped” enterprise (a company or a group of companies), legal acumen is needed to make sure something can still be saved. A good example is the case that led to the judgement of the Antwerp Court of Appeal of 19 January 2011. Mr V has a very large claim on a non-profit association. Due to financial difficulties, the non-profit association is dissolved and enters liquidation. A new non-profit association is set up simultaneously. Without paying compensation to the one being liquidated, it uses key brands that are the property of the old non-profit association. Mr V sees that a large part of his collaterals is disappearing in the new non-profit association. Through a collateral claim, Mr V, assisted by Stefan Lossy, requests a descriptive counterfeit seizure on the aforementioned brands based on the infringement of intellectual property rights of the old non-profit association by the new one. Due to this descriptive seizure, the new non-profit association must pay the old non-profit association the right price for the brands it has de facto taken over. Given the fact that the liquidator of the old non-profit association failed to protect the intellectual property rights of the old non-profit association during liquidation, Mr V is able to raise himself the liquidator’s claim via the collateral claim and thus secure the patrimony of the old non-profit association during liquidation. Can a Belgian judge appoint a temporary administrator to a foreign corporation that has no link to Belgium? A foreign corporation has an important claim on its own business manager. The majority of shares are the property of the business manager. This means that they cannot be removed (the business manager will not vote for their own dismissal during the General Assembly). The company’s registered office is abroad (outside Europe). All of the company’s activities also take place abroad. The business manager lives and resides abroad. The business manager owns real estate in Belgium, to which the foreign corporation may apply conservatory attachment to secure its claim. Given that the real estate owner is also the business manager of the foreign corporation, they refuse to take conservatory measures and apply conservatory attachment on their own property. The interests of the minority shareholder of the foreign corporation are seriously damaged by the actions of the business manager. By appointing an ad hoc representative, Mr Stefan Lossy was able to obtain a conservatory attachment for the foreign corporation on behalf of the minority shareholder. 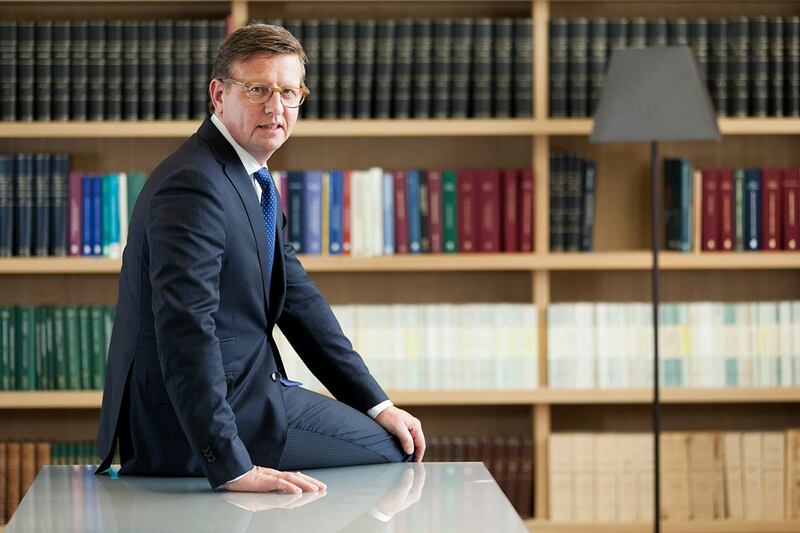 “Addressing the court means communicating with the court”, says Stefan Lossy. “It means establishing contact, just like a musician does with their audience. I also put a lot of emphasis on direct contact when I assist clients during board of directors meetings, general assemblies or negotiations. My role in that kind of situation is comparable to that of a jazz musician: adapting to the circumstances while applying my knowledge. Stefan Lossy joined the Antwerp bar in 1984. He completed his traineeship in a medium-sized law firm in Antwerp, focussing primarily on collective and individual employment law, as applied to the transport sector a.o. 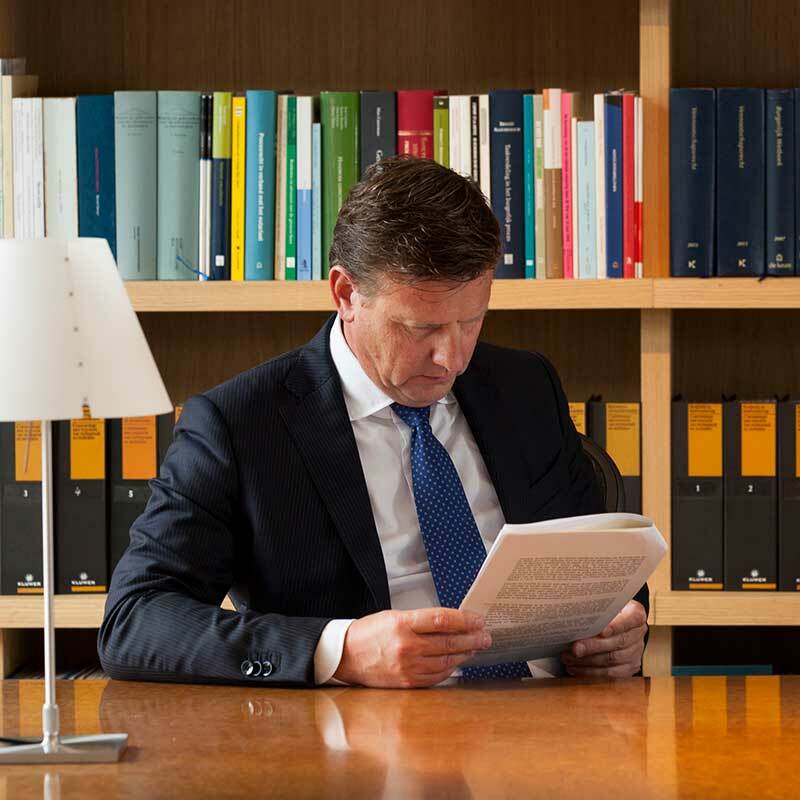 Between 1998 and 2011, he worked as partner of Van Goethem Advocaten, mainly on commercial and corporate law. Stefan Lossy attended various mediation courses. In order to make sure we are able to properly support our clients, we collaborate on certain cases with other specialists in the relevant sector, whether they are lawyers or not. If necessary, we involve taxation specialists, accountants, company auditors and other experts. Lossy Advocaten has an extensive network abroad (including Spain, France, Germany, the United Kingdom, the Netherlands), which means the client can receive proper assistance abroad as well. Lossy, S.: Misbruik van vennootschapsgoederen. In: Vandeplas, A., Arnou, P. en Van Overbeke, S. (eds), Strafrecht en strafvordering: commentaar met overzicht van rechtspraak en rechtsleer. Mechelen, Kluwer, 2014, 129-162. Lossy, S.: Ontslag van beschermde werknemers bij faillissement, ote under Court of Cassation 22 February 1999. In: Sociaalrechtelijke Kronieken, 2001, 26-29. Lossy, S.: Bewijswaarde van het geneeskundig onderzoek van de arbeidsgeneesheer, tot stand gekomen zonder naleving van de procedure voorgeschreven in het ARAB. In: Sociaalrechtelijke Kronieken, 1995, 209-213. Lossy, S.: “Bepaalde sociaalrechtelijke implicaties bij zwartwerk”, training SD Worx 25 September 1997 Ter Elst Edegem, 1997, 1-59. Lossy, S.: De vervangingsovereenkomst. In: Oriëntatie, 1992, 237-245. Lossy, S.: Toegelaten arbeidsduur en loon van de chauffeur, tewerkgesteld in een vervoersonderneming. In: Oriëntatie, 1991, 97-108.